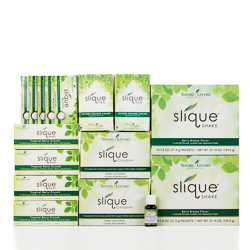 Slique Tea is a delicious, premium blend of wholesome and rare ingredients. It offers a natural alternative to sugar-laden fruit drinks from concentrates, sodas, and coffees and can be used as part of a healthy weight management program. It contains Ecuadorian ocotea leaf (Ocotea quixos), a member of the cinnamon family. Amazonian cacao is then added, along with pure, proprietary vanilla essential oil. Slique Tea also contains jade oolong tea leaves, sought after for their rich aroma and powerful antioxidant content. These leaves are handpicked from the high mountain regions of Taiwan, known for producing some of the world's finest teas. All of these ingredients are enhanced with 100% pure Arabian frankincense powder, an exclusive ingredient from Young Living's distillery in Salalah, Oman. How to use: Delicious served hot or cold, Slique Tea is a guilt-free staple to help maintain a healthy weight. Use daily before and after workouts, with meals, or any time you like. Bring 8 ounces of water to a rolling boil, let cool for 3 1/2 minutes. Place one pouch in a cup, mug, or filter and add water. Steep for at least 3 minutes. 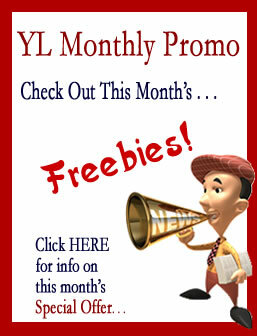 Add your favorite Young Living essential oils as desired. 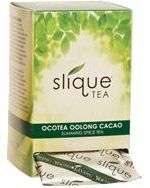 Slique Tea contains flavonoids, which are found in tea, cacao, fruits, and vegetables and support the body's ability to maintain certain healthy functions. Slique Tea contains inulin fiber for probiotic support. Slique Tea leaves are non-flouridated and organically grown. Contains naturally occurring caffeine and tea antioxidants. If you are pregnant or under a doctor's care, consult your physician. Not recommended for children. Ingredients: Jade oolong tea, inulin, ocotea leaf (Ocotea quixos), Ecuadorian cacao powder, vanilla essential oil, frankincense powder (Boswellia sacra), and natural stevia extract. 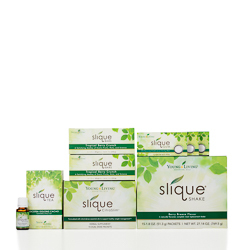 Slique Essence combines grapefruit, tangerine, lemon, spearmint, and ocotea with stevia extract in a unique blend that supports healthy weight management goals. The pleasant citrus combination of grapefruit, tangerine, and lemon essential oils adds a flavorful and uplifting element to any day with the added support of spearmint. * Ocotea essential oil adds an irresistible, cinnamon-like aroma, while stevia adds an all-natural sweetener that provides a pleasant taste with no added calories. How to Use: Shake vigorously before use. Dietary Supplement:Add 2-4 drops to 4-6 oz. of your favorite beverage, Slique Tea, or water. Use as needed throughout the day whenever hungry. Topical: Dilute 1 drop with 1 drop of V-6 or olive oil; then apply to desired area as needed. Note: Stevia extract in this formula may inpede diffuser performance. Storage: Keep in a cool place out of direct sunlight. Slique Gum Ancient travelers throughout the Middle East used raw frankincense resin for its nutritional content and ability to help control hunger. 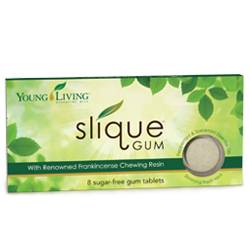 Slique Gum offers those same benefits in a modern delivery system that helps control food cravings. 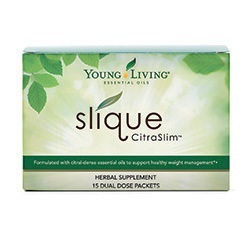 Slique CitraSlim also includes a proprietary citrus extract blend, which some studies suggest may help support the body in burning excess fat when used in conjunction with a healthy weight-management plan. This polyphenolic mixture of flavonoids offers powerful antioxidants that are touted for their health benefits. This blend may also support the release of free fatty acids, which help break down fat. How to Use: Consume 2 powder capsules in the morning with 8 ounces of water. Consume 1 powder and 1 liquid capsule with 8 ounces of water in the afternoon, before 3 p.m. If you miss taking your capsules in the morning, you may take all 4 capsules together in the afternoon, before 3 p.m.
How to Use: Refer to the individual products for specific usage. Slique Advanced This collection contains the Slique Assist collection, plus Slique Slim Caps. Slique Complete Slique This pack combines the benefits of the Slique Shake meal replacement with the fat-burning benefits of Slique CitraSlim. Slique Shake is a complete meal replacement shake that provides quick, satisfying, and delicious nutrition. 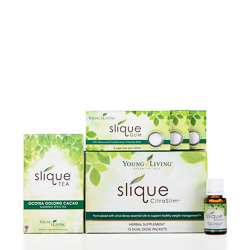 Formulated with Slique Essence Essential Oil Blend, this shake may support healthy weight management when combined with regular exercise and a sensible diet. In a convenient single-serving size packet, it's easy to slip into a purse or pocket for healthy eating on the go. Slique Shake's berry flavor is great on its own or mixed with almond milk or fruit, and its vegan formula contains no artificial colors, flavors, preservatives or GMO ingredients. Instead, Slique Shake is naturally sweetened with Stevia, organic coconut palm sugar, wolfberries, and strawberries. The formula also includes pea protein, quinoa, wolfberry, pumpkin seed protein, and alfalfa grass juice, making it not only a tasty protein shake but an excellent source of dietary fiber as well. Slique Shake also includes a fruit and vegetable blend that provides essential vitamins and minerals that many meal replacement options don't offer. Slique Bars - Chocolate Coated Members have always enjoyed Slique Bars as a delicious weight-management tool that utilizes a dual-target approach to help manage satiety. Now this innovative bar is coated in delicious dark chocolate! 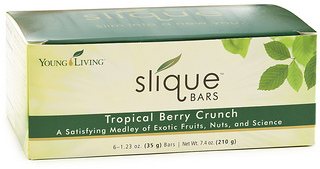 To support any weight-management plan, Slique Bars are loaded with exotic baru nuts and wholesome almonds, which promote satiety when combined with protein and fiber. We also use a potato skin extract that, when ingested, triggers the release of cholecystokinin in the body, increasing the duration of feelings of fullness. 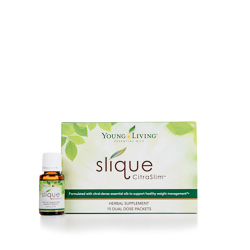 Slique Bars deliver essential nutrients from a unique superfruit blend of goldenberries and wolfberries, plus pure Cinnamon, Vanilla, and Orange essential oils. This dual-target satiety approach and medley of exotic fruits, nuts, and potato skin extract create a nutritious, stimulant-free snack to help you feel fuller, longer. Potato skin extract triggers the release of cholecystokinin (CCK) in the body, increasing the duration of feelings of fullness. A mix of exotic nuts and berries, featuring baru nuts, goldenberries, and wolfberries, delivers delicious taste and promotes fullness when combined with protein and high levels of fiber. A proprietary essential oil blend of Cinnamon, Vanilla, and Orange essential oils helps moderate cravings.